The hall was erected to commemorate those who served in World War One. Extension to the hall were officially opened on the 1st November 1949. A plaque was erected at the hall in 1995 to commemorate the 75th anniversary. Honour Rolls inside include the names of forty soldiers and one nurse who enlisted in World War One, half of those being either killed or wounded. In World War Two, Pilton won two awards for outstanding fundraising, and the pennants are on display in the hall. The World War Two Honour Roll contains 35 names. 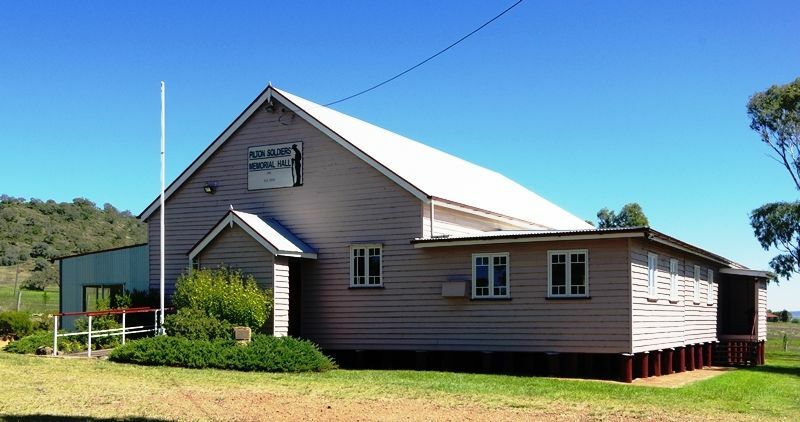 This was the first memorial hall built in Australia and it was officially opened by the Honourable Littleton Groom, Federal Minister for Works and Railways on the 26th January 1920. The hall was erected in 1919 for a total cost of £600. The Brisbane Courier (Qld), 29th January 1920.